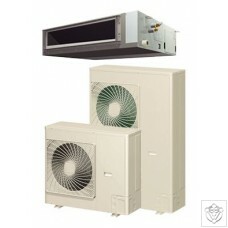 A new range of easy fit Wall Mounted split AC systems that actually handle the load they are claiming! Available in compact wall mount versions for smaller applications of 3 to 12 lights, or the higher airflow ceiling ducted units can be available from a few lights all the way up to 32 lights. 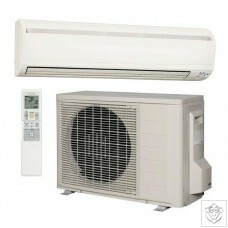 These units are not cheap knock off domestic comfort cooling units, they are robust and made with world leading components and they won’t breakdown and fail on you or underperform like so many cheap units being used in this industry are tending to do. Providing they are properly installed, they will work. The install is the most impo..
A new range of easy fit Ducted Split AC Systems that actually handle the load they are claiming! Available in compact wall mount versions for smaller applications of 3 to 12 lights, or the higher airflow ceiling ducted units can be available from a few lights all the way up to 32 lights. These units are not cheap knock off domestic comfort cooling units, they are robust and made with world leading components and they won’t breakdown and fail on you or underperform like so many cheap units being used in this industry are tending to do. Providing they are properly installed, they will work. The install is the most important ..
5kW AdViroVent Climate Control – Chilled Water Split Systems For a max of 8 x 600W Lights We have been missing something in the UK indoor growing industry, especially for closed loop, sealed environment growers, who have had enough of cooling systems which simply do not work, or regularly fail. A bulletproof cooling system with high end components and intuitive craftsmanship, backed up with unparalleled knowledge and support, THAT REQUIRES NO ENGINEER TO INSTALL! 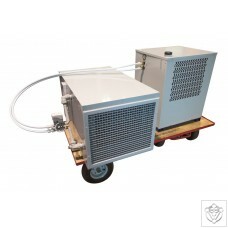 Aimed at serious growers who want uncompromised cooling and moisture removal for closed loop gardening applications, we have a revolutionary new split cooling syst..
8.5kW AdViroVent Climate Control – Chilled Water Split Systems For a max of 14 x 600W Lights We have been missing something in the UK indoor growing industry, especially for closed loop, sealed environment growers, who have had enough of cooling systems which simply do not work, or regularly fail. A bulletproof cooling system with high end components and intuitive craftsmanship, backed up with unparalleled knowledge and support, THAT REQUIRES NO ENGINEER TO INSTALL! Aimed at serious growers who want uncompromised cooling and moisture removal for closed loop gardening applications, we have a revolutionary new split cooling s..
12.5kW AdViroVent Climate Control – Chilled Water Split Systems For a max of 21 x 600W Lights We have been missing something in the UK indoor growing industry, especially for closed loop, sealed environment growers, who have had enough of cooling systems which simply do not work, or regularly fail. A bulletproof cooling system with high end components and intuitive craftsmanship, backed up with unparalleled knowledge and support, THAT REQUIRES NO ENGINEER TO INSTALL! Aimed at serious growers who want uncompromised cooling and moisture removal for closed loop gardening applications, we have a revolutionary new split cooling ..
13.6kW AdViroVent Climate Control – Chilled Water Split Systems For a max of 23 x 600W Lights We have been missing something in the UK indoor growing industry, especially for closed loop, sealed environment growers, who have had enough of cooling systems which simply do not work, or regularly fail. A bulletproof cooling system with high end components and intuitive craftsmanship, backed up with unparalleled knowledge and support, THAT REQUIRES NO ENGINEER TO INSTALL! Aimed at serious grower who want uncompromised cooling and moisture removal for closed loop gardening applications, we have a revolutionary new split cooling s..
20kW AdViroVent Climate Control – Chilled Water Split Systems For a max of 33 x 600W Lights We have been missing something in the UK indoor growing industry, especially for closed loop, sealed environment growers, who have had enough of cooling systems which simply do not work, or regularly fail. A bulletproof cooling system with high end components and intuitive craftsmanship, backed up with unparalleled knowledge and support, THAT REQUIRES NO ENGINEER TO INSTALL! Aimed at serious growers who want uncompromised cooling and moisture removal for closed loop gardening applications, we have a revolutionary new split cooling sy..
31kW AdViroVent Climate Control – Chilled Water Split Systems For a max of 48 x 600W Lights We have been missing something in the UK indoor growing industry, especially for closed loop, sealed environment growers, who have had enough of cooling systems which simply do not work, or regularly fail. A bulletproof cooling system with high end components and intuitive craftsmanship, backed up with unparalleled knowledge and support, THAT REQUIRES NO ENGINEER TO INSTALL! Aimed at serious growers who want uncompromised cooling and moisture removal for closed loop gardening applications, we have a revolutionary new split cooling sy..
40kW AdViroVent Climate Control – Chilled Water Split Systems For a max of 65 x 600W Lights We have been missing something in the UK indoor growing industry, especially for closed loop, sealed environment growers, who have had enough of cooling systems which simply do not work, or regularly fail. A bulletproof cooling system with high end components and intuitive craftsmanship, backed up with unparalleled knowledge and support, THAT REQUIRES NO ENGINEER TO INSTALL! Aimed at serious growers who want uncompromised cooling and moisture removal for closed loop gardening applications, we have a revolutionary new split cooling sy..